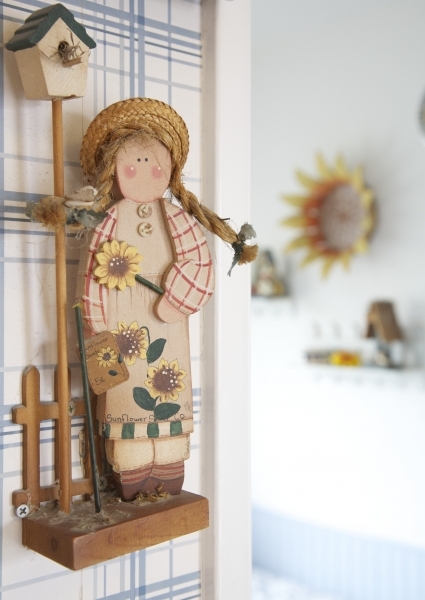 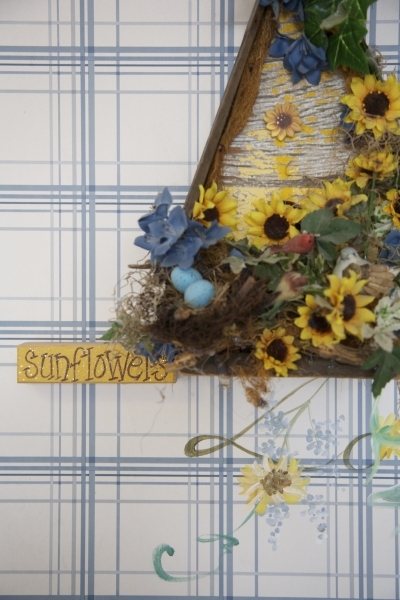 Sunflowers and sunshine greet all who enter, and we know sunflowers brighten any room. 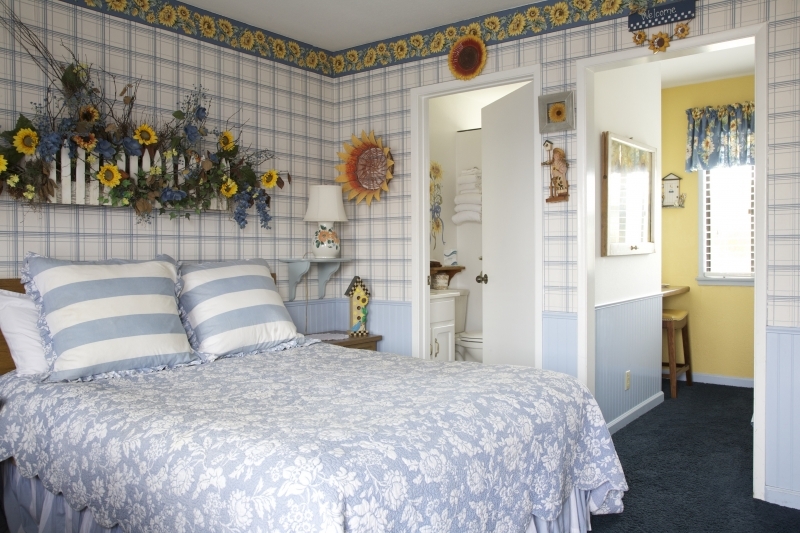 This cozy haven is adorned with crisp blue-and-white wallpaper accented by a bright sunflower banner, sunflowered-bedspreads, and sun-flowered-valences and bathroom amenities. 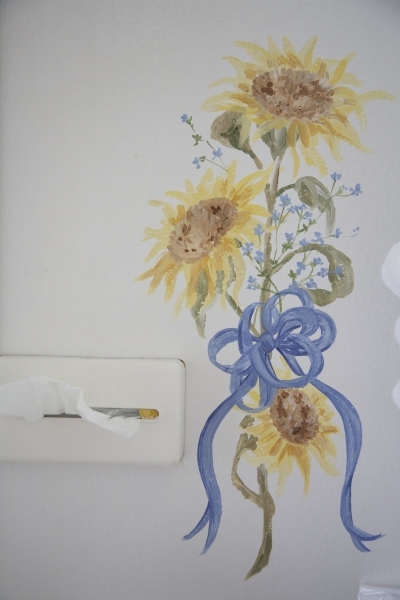 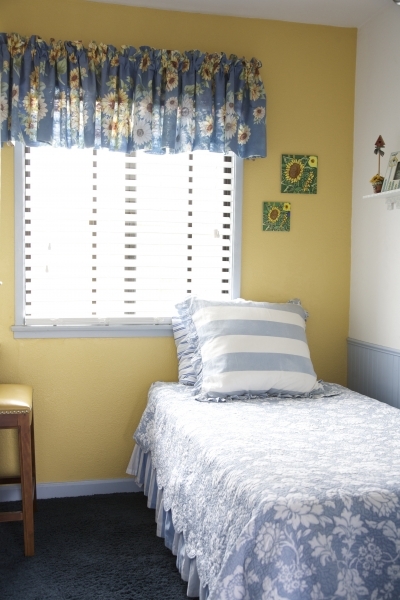 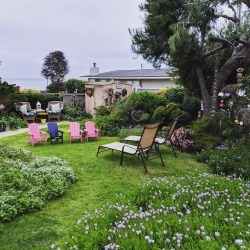 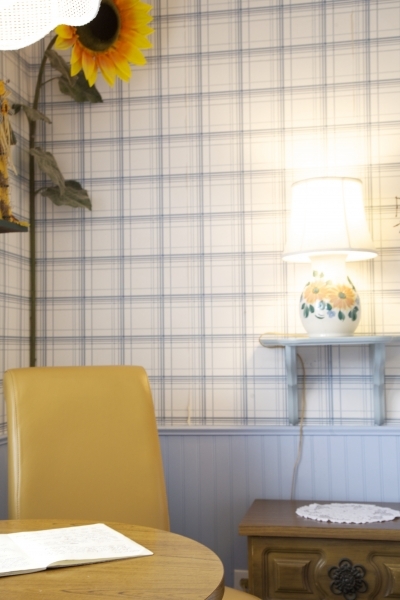 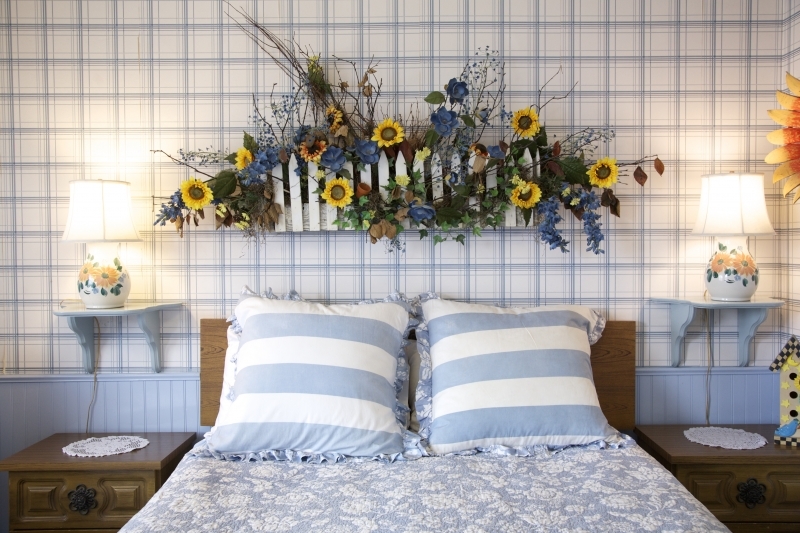 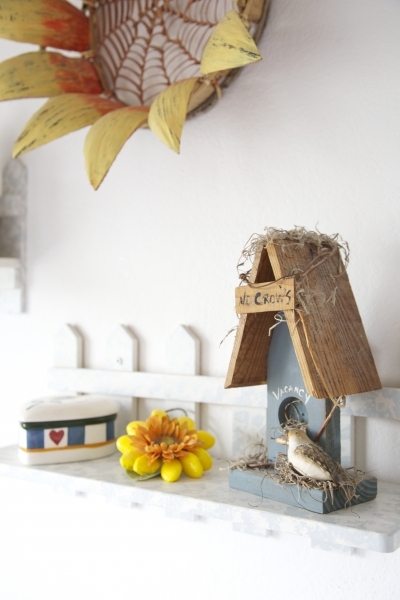 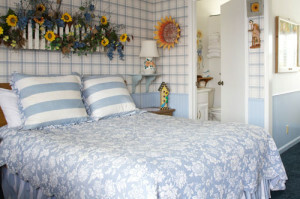 One room displays a sunflower-filled white picket fence over the queen-sized bed. The other room has a twin bed with a cozy writing niche.